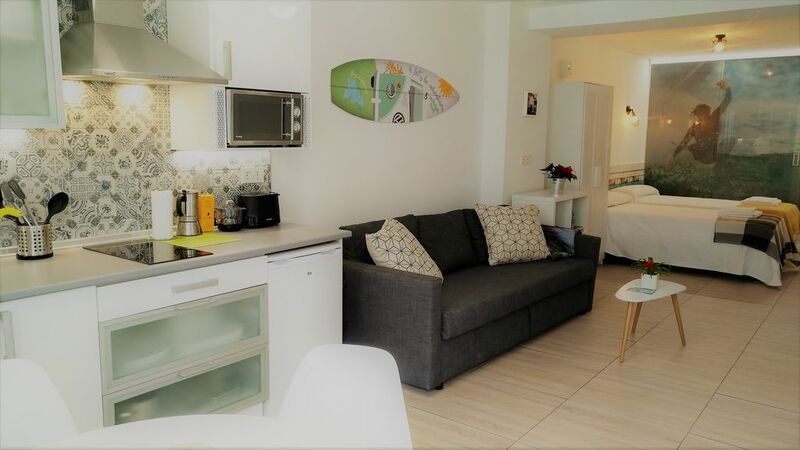 The apartments are located in a very lively central street, to the right you will see the Egoki bar-restaurant where you will be treated like at home. If you want to cook yourself, to the left you will find the Eroski supermarket and, a little further on, the center with the local fresh food market. Crossing the street you will access the interesting Basque photography museum located next to a pediment where you can see -and perhaps practice- Basque pelota. We are on the same side of Mount Santa Bárbara, which you can easily climb using the "Roman road" and enjoy the breathtaking views from its summit. The long beach of 2. 800 m long is just 200 m away, and you can practice water sports, walk to Getaria, sunbathe or dine by the sea.